At H.W. Metals, large metal fabrication is our specialty. 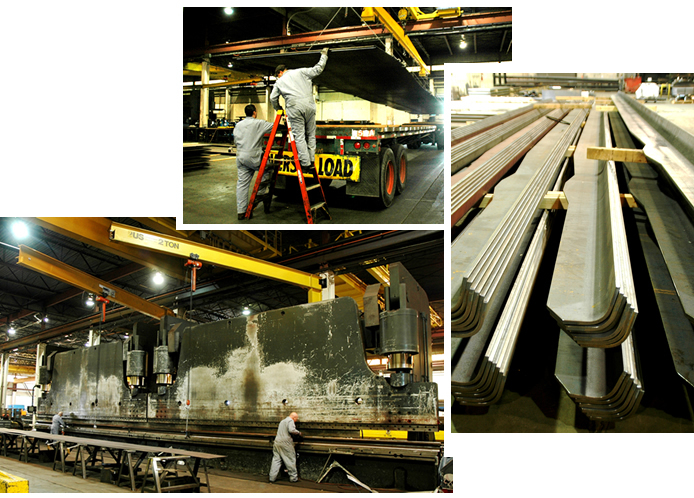 We provide full-service, custom steel processing for parts up to 60’ in length. By making large-size parts from a single piece of material, rather than welding or otherwise joining two or more smaller pieces, we are able to deliver a better quality product. It also reduces material requirements and reduces or eliminates the need for welding and other joining processes, leading to lower prices and faster turnaround times for our customers. H.W. Metals’ specialized and customized production equipment enables us to form, cut, punch, and weld large metal products just as easily as other steel processors produce smaller parts. And, though we specialize in large metal fabrication, we offer the same high quality custom steel processing for parts, components, and fabricated products of all sizes. We are your Number 1 domestic outsource option. Request a quote on the large metal fabrication you need, or contact H.W. Metals to learn more.